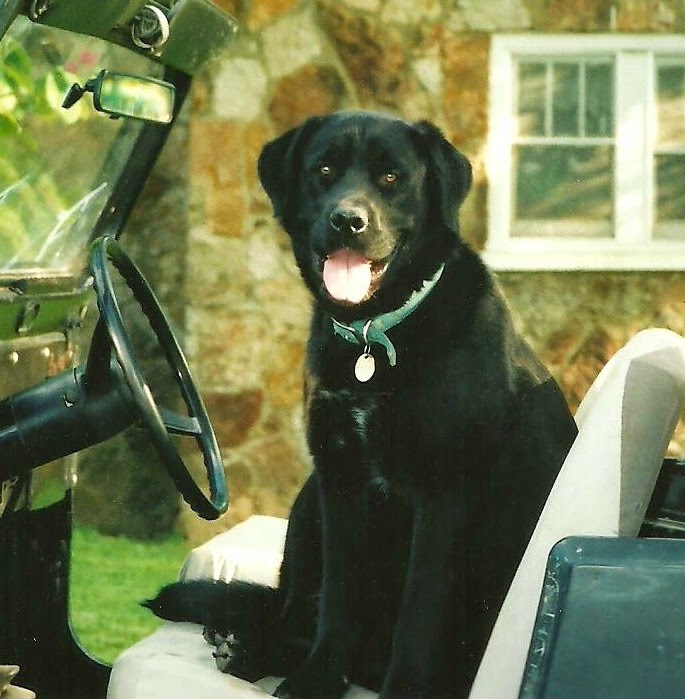 Here's a polaroid ;-) of me many years ago. 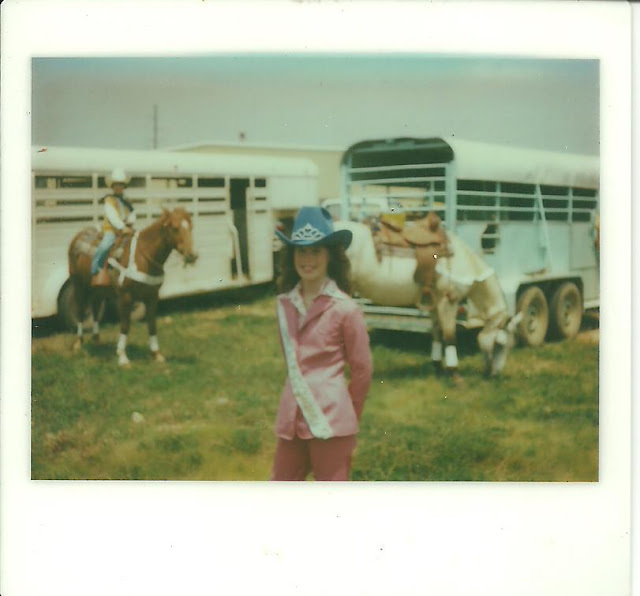 My family enjoyed riding horses and competing in rodeos. Most of my favorite childhood memories include horses and the wonderful people we met at riding clubs, trail rides and rodeos. The recipe I'm sharing today comes from a very dear family friend and neighbor, Beatrice Mason. 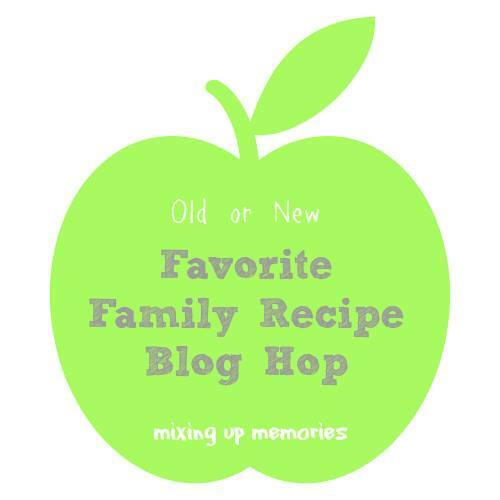 You may want to visit these amazing bloggers who are sharing favorite family recipes, too! Mrs. Mason and her husband lived about a mile from our farm. We were allowed to ride our horses around the dirt road and visit them. She would step out on her porch and make us feel welcome, usually offering a snack or drink of some kind! At pot luck dinners, her dishes were always quite the hit! Not long after my wedding, I wrote to Mrs. Mason and asked her for her Chicken Pot Pie recipe. She wrote me back the sweetest letter that I still cherish. 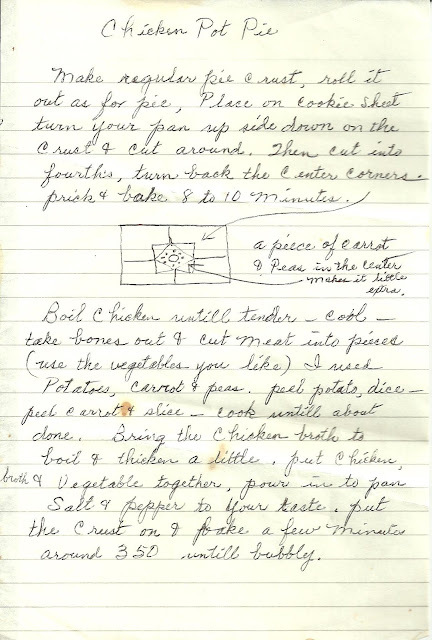 Here is her recipe for Chicken Pot Pie in her handwriting. I hope you have time to give it a try! What is your favorite family recipe? What a treasure, Marci! It's wonderful that you've kept the letter with her recipe. Marci, What amazing memories a recipe can bring us! Love that you kept her original letter with the recipe! I have a couple hand written recipes from my Grandma that I'm so glad that I have. Thanks for sharing! Wow, Marci! How lovely you kept the original handwritten recipe, drawing and all! What a treasure - no one does that anymore! I like that she says to use the vegetables you like! So adaptable to today's likes and trends! Great job Marci!I loved the fact that you kept the original written recipe.It refreshes lot of memories. Family recipes are special because of the memories of loved ones and special occasions, as well as the delicious meals that result from the recipes. Thank you for sharing at #BloggingGrandmothersLinkParty. I'm sharing your post on social media. I love the original recipe on the letter. And it sounds so yummy. I LOVE handwritten recipes like this. Thank you so much for sharing this at: #BloggingGrandmothersLinkParty#15 ! I love chicken pot pie! What lovely memories! The recipe sounds delicious, but I especially like that you shared the original hand-written version. Thanks for linking up at #BloggingGrandmothersLinkParty. I have share this on social media. The recipe looks pretty good, so sweet to find such a sweet recipe from someone special. Handwritten recipes are the best of all, something to keep and cherish. 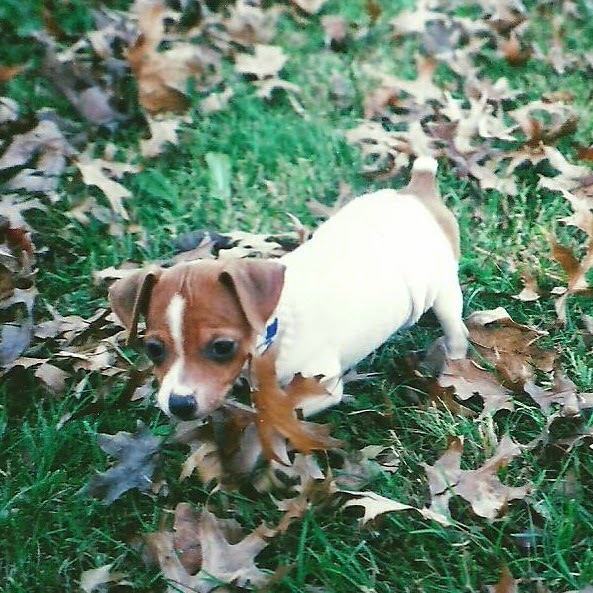 And don't you look cute in that pic all ready for the rodeo :) Thank you Marci for linking up at the #BloggingGrandmothersLinkParty. I shared this post. Chicken pot pie is one of my favorite recipes! The handwritten version is pretty cool too. There's nothing like a down-home dish. I love family recipes and the photo of the handwritten recipe is one to treasure. Thanks for sharing with us at #blogginggrandmotherslinkparty. I've shared! That's a sweet story! I love Chicken Pot Pie!! Yum!! I can't wait to try this. Thank you for linking up at the #BloggingGrandmothersLinkParty. I shared this post. What a treasure that special recipe is! It also sounds quite yummy and something that my hubbie and I would enjoy. Thanks for sharing! My favorite thing to eat is chicken pot pie!!! I cannot wait to try this! Thank you, and I love this story of your family friend. Goodness, my favorite family recipe would have to be my grandmother's chicken spaghetti! What a treasure!! And the pie sounds awesome! Thanks for sharing at the What's for Dinner party!